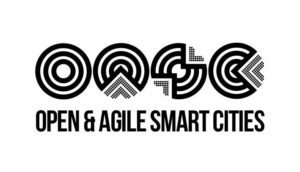 Thirty-one cities from seven countries in Europe and Latin America launch the “Open & Agile Smart Cities” initiative to accelerate adoption of common standards and principles for global smart city development. UPDATE: Read the Frequently Asked Questions, with information about the 2nd wave (deadline June 5). Hannover, 16.03.2015 – CeBIT is the natural place for one of the most important announcements this year about smart city development in Europe. 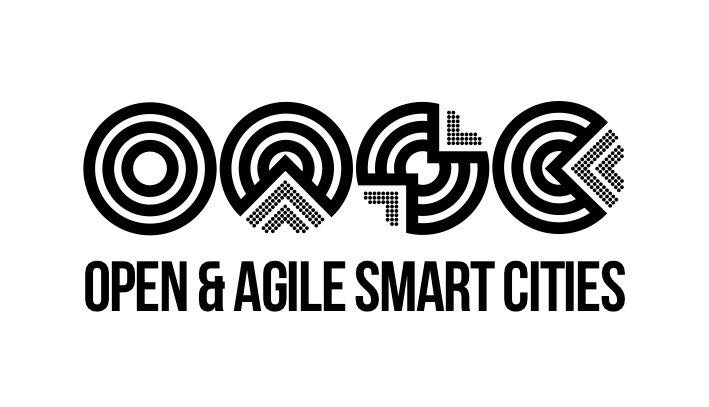 The Open & Agile Smart Cities (OASC) initiative, signed by 31 cities from Finland, Denmark, Belgium, Portugal, Italy, Spain and Brazil, aims to kickstart the use of a shared set of wide-spread, open standards and principles, enabling the development of smart city applications and solutions to reach many cities at once, by making systems interoperable between cities, and within a city. The commitment marks a milestone in the development of smart cities, boosting the digital transformation of cities into engines of growth and citizen satisfaction through co-creation. Helsinki, Espoo, Vantaa, Tampere, Oulu and Turku in Finland; Copenhagen, Aarhus and Aalborg in Denmark; Brussels, Ghent and Antwerp in Belgium; Porto, Lisbon, Fundão, Palmela, Penela and Águeda in Portugal; Milan, Palermo and Lecce in Italy; Valencia, Santander, Málaga and Sevilla in Spain; and Olinda (Recife), Anapólis (Goiás), Porto Alegre (Rio Grande do Sul), Vitória (Espírito Santo), Colinas de Tocantins (Tocantins) and Taquaritinga (São Paulo) in Brazil, are already committed to implement common standards. This important agreement encourages cities to take concrete actions. Cities adopt an initial open-licensed standard API (Application Programming Interface), FIWARE NGSI, which provides lightweight and simple means to gather, publish, query and subscribe context-based, real-time information. The cities will also use and improve standard data models based on experimentation and actual usage. The initial data models were chosen by mature European smart cities in the CitySDK initiative, forming the basis for a joint City Service Development Kit. Cities in the OASC Task Force will further harmonise the data models, extending the work to other domains in constant dialog with the developer community. “Seen from a developer’s perspective, one city alone is not a market large enough. A number of cities in several countries or a continent, adopting a minimal set of de facto standards is a sizable market on which developers can start investing,” explained Jarmo Eskelinen, CEO Forum Virium Helsinki, and vice chair of the Connected Smart Cities Network Board. “The OASC initiative will help to overcome the current chicken-and-egg situation where no systems can scale and spread because there are no standards, and there are no standards because there is no widespread deployment,” explained Martin Brynskov, who is also coordinator of the Danish Smart City Network. The adoption of a driven-by-implementation approach is the cornerstone of the OASC initiative. “As opposed to design-by-committee approaches, the goal is that communities and developers can co-create their services based on APIs and data models adopted based on results of implementation and actual usage experiences,” said Martin Brynskov. The NGSI API has been adopted by the cities as an initial open-licensed standard API providing a lightweight and simple yet powerful means to gather, publish, query and subscribe-to context information describing what happens in the city at any time. “Integration with city systems and third-party applications using the NGSI API is low cost and not intrusive,” explains Juanjo Hierro, member of the CSC Network Board and OASC Task Force, and coordinator and chief architect of FIWARE, the open source platform initiative under which definition and development of an open source reference implementation of this API has taken place. “Just imagine the possibilities that are offered to developers if all the cities in the world support the same standard API for getting access to what is going on in the city at any moment,” he commented. In addition, the cities will adopt Open Knowledge Foundation’s CKAN as a shared open data and API publication platform. CKAN is already integrated and extended as part of the FIWARE Reference Architecture with add-ons easing the integration of the NGSI API to get access to context information. Commitment to adopt these common standards and principles is supported by the signature of a “Letter of Intent” by cities that become part of the initiative, several of which are presenting at CeBIT. “The principles proposed under the OASC initiative are pragmatic, intended to be powerful enough to support the portability and interoperability of applications that is needed, yet simple, so that they do not create a considerable overhead in terms of resources”, explains José Antonio Teixeira Vitienes, General Director of Innovation, City of Santander in Spain. “They are based on free licenses, so that they do not tie city development to a specific vendor or technology”, mentioned Bo Fristed, CIO, Open Data Aarhus in the City of Aarhus in Denmark. “We believe that the OASC initiative represents a significant step moving forward to materialize a vision of smart cities not just limited to support a more efficient management of municipal services but to the transformation of cities into platforms enabling development of innovative services”, added Matti Saastamoinen, Project Manager of the Six City Strategy, City of Tampere in Finland. The announcement today is the first wave in an ongoing series where national networks of cities join the Open & Agile Smart Cities initiative. The process is open to every city in the world which implements the mechanisms, as long as they join up at least two cities from a nation or territory. The next wave is expected in early summer. Cities from the Netherlands, United Kingdom and Mexico are already on track. This is a unique opportunity to develop de facto standards in an open and collaborative manner which complements the traditional standards development processes, and focuses on the needs of cities as a whole, including opportunities for local job creation and SME involvement. The OASC initiative is governed by the Open & Agile Smart Cities Task Force, overseen by the Connected Smart Cities Network Board.